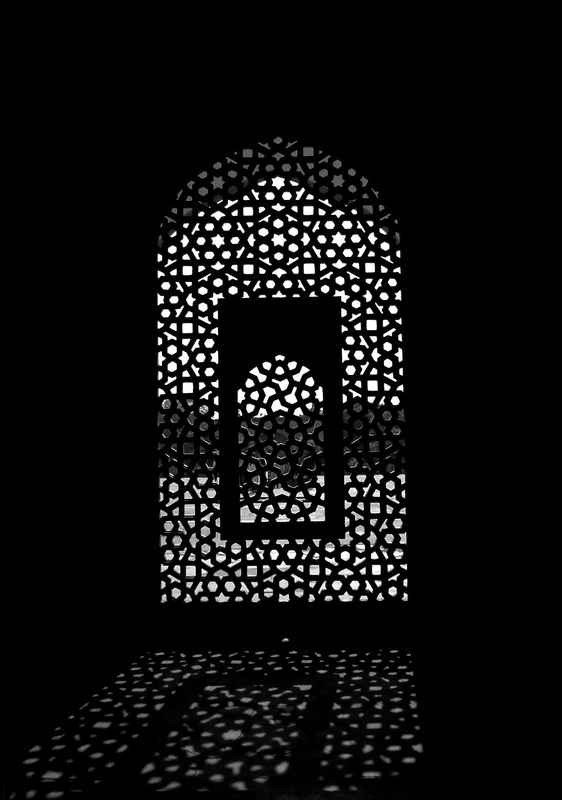 Humayun's Tomb is the first of the grand dynastic mausoleums that were to become synonyms of Mughal architecture with the architectural style reaching its zenith 80 years later at the later Taj Mahal. 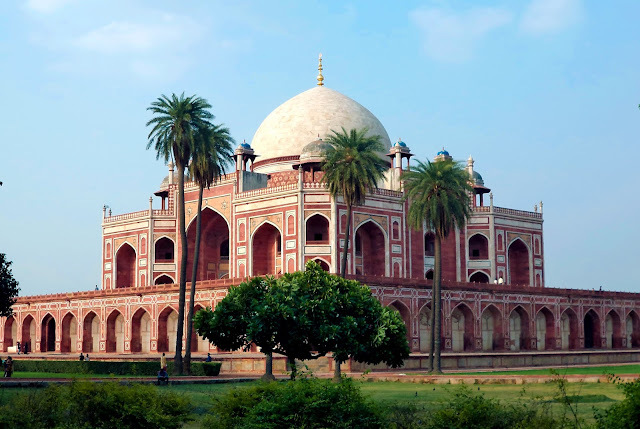 Humayun’s Tomb stands within a complex of 27.04 hectares. 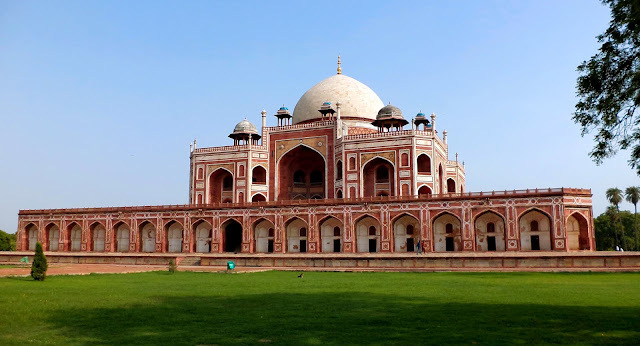 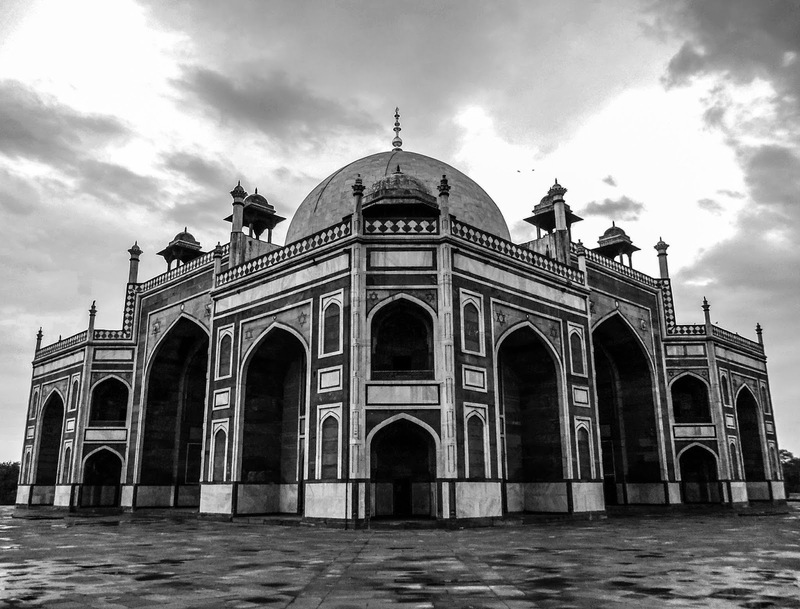 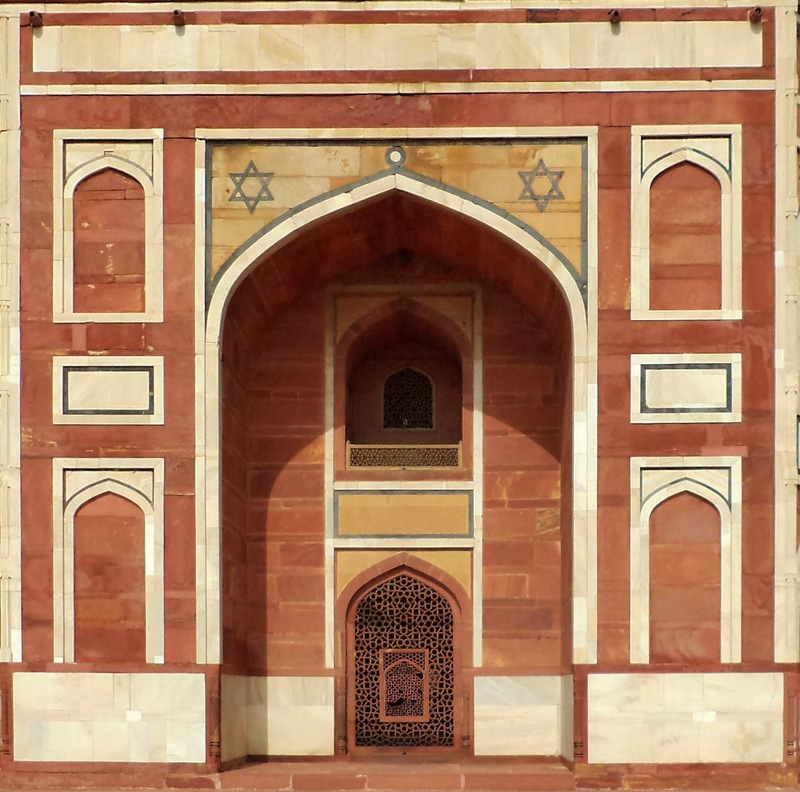 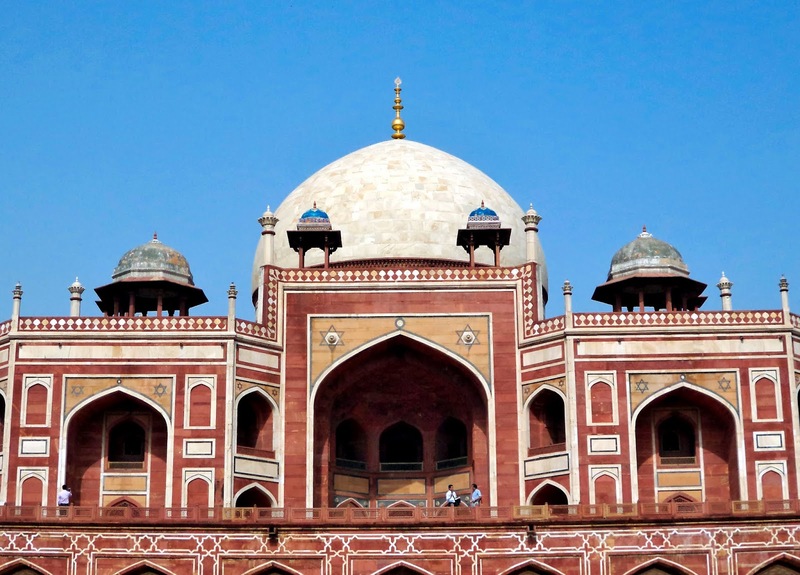 The tomb was built by Humayun's first wife and chief consort, Empress Bega Begum in 1569-70, and designed by Mirak Mirza Ghiyas and his son, Sayyid Muhammad, Persian architects chosen by her. It was the first garden-tomb on the Indian subcontinent also the first structure to use red sandstone at such a scale. The mausoleum itself stands on a high, wide terraced platform with two bay deep vaulted cells on all four sides. 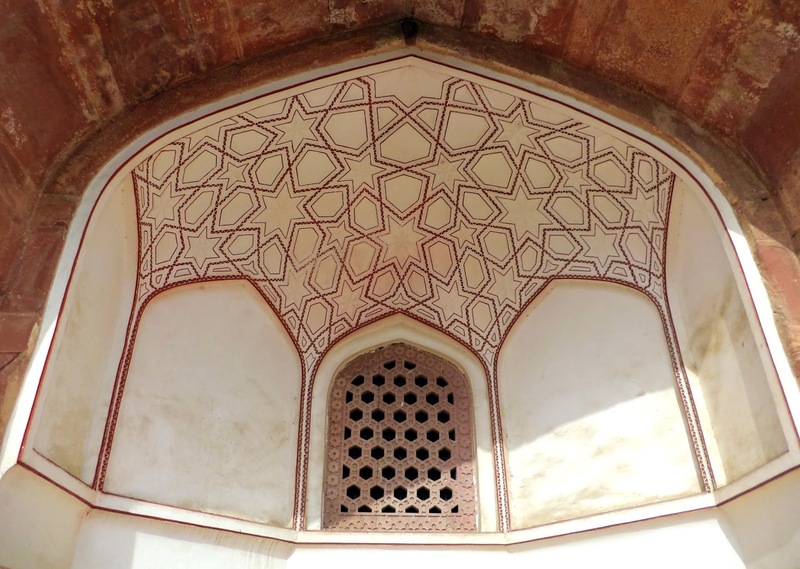 It has an irregular octagon plan with four long sides and chamfered edges. 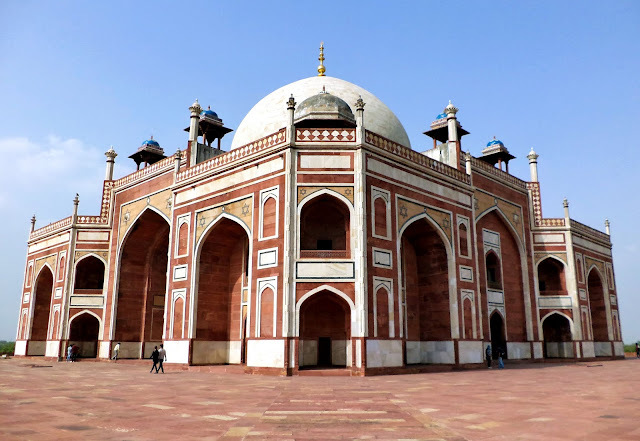 It is surmounted by a 42.5 m high double dome clad with marble flanked by pillared kiosks (chhatris) and the domes of the central chhatris are adorned with glazed ceramic tiles. The middle of each side is deeply recessed by large arched vaults with a series of smaller ones set into the facade. 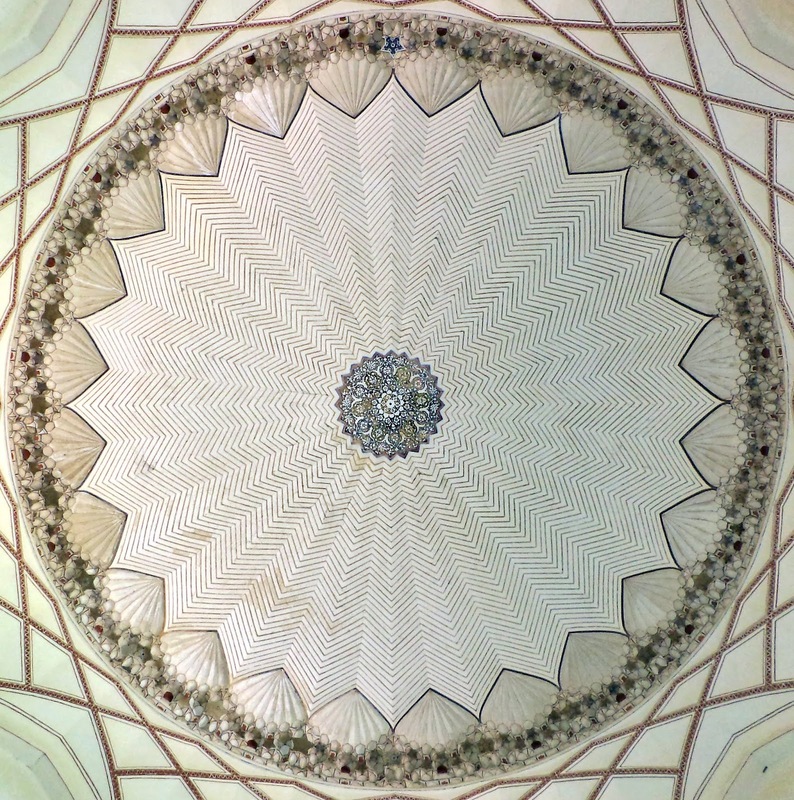 The interior is a large octagonal chamber with vaulted roof compartments interconnected by galleries or corridors. This octagonal plan is repeated on the second story. The structure is of dressed stone clad in red sandstone with white and black inlaid marble borders. The tomb was declared a UNESCO World Heritage Site in 1993. 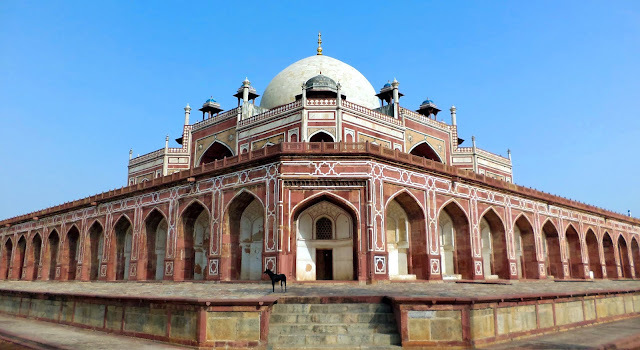 The restoration of the Mughal Emperor Humayun’s 16th century garden tomb, the jewel of Mughal architecture that predates the Taj Mahal, was completed by the Aga Khan Trust for Culture (AKTC) in September of 2013. 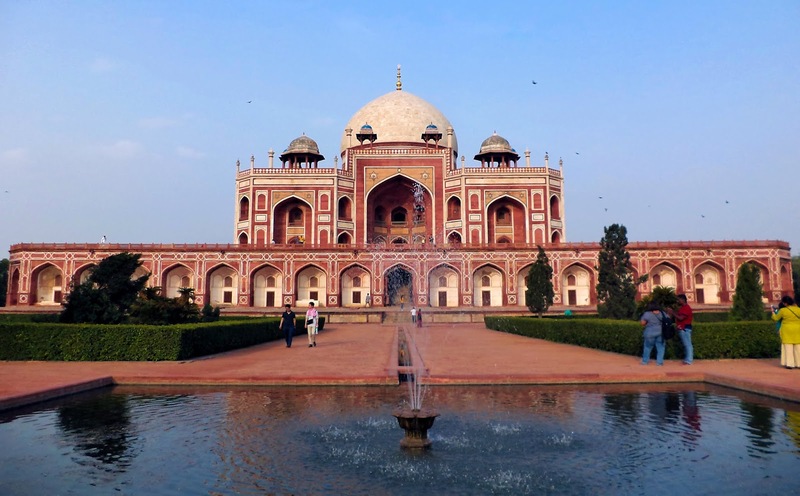 Humayun’s garden-tomb is also called the ‘dormitory of the Mughals’ as in the cells are buried over 150 Mughal family members. 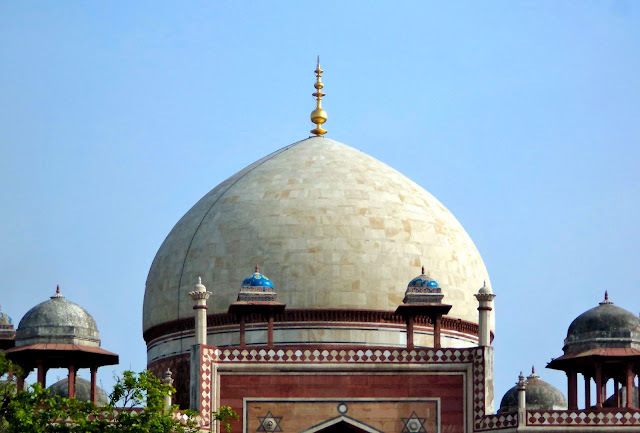 The tomb stands in an extremely significant archaeological setting, centered at the Shrine of the 14th century Sufi Saint, Hazrat Nizamuddin Auliya. Since it is considered auspicious to be buried near a saint’s grave, seven centuries of tomb building has led to the area becoming the densest ensemble of medieval Islamic buildings in India.